Los Angeles – Sept. 2 2016 – Tune in for a night of out-of-this-world thrills as HDNET MOVIES puts the spotlight on a trio of acclaimed sci-fi features in “Supernatural Sightings,”airing Sunday, September 4, starting at 8pE. 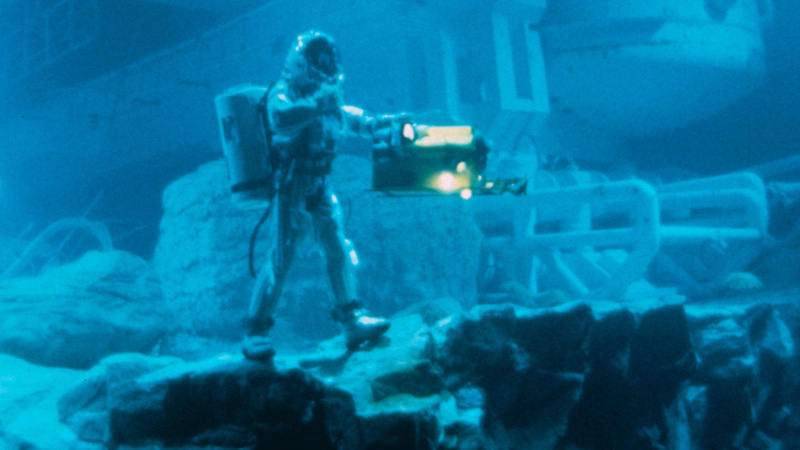 The evening begins with Ed Harris and Mary Elizabeth Mastrantonio as members of a diving crew who discover a dangerous alien life form under the sea in James Cameron’sOscar®-winning opus THE ABYSS. Then, George Clooney stars as a psychologist sent to an isolated space station orbiting a strange planet in the 2002 Steven Soderberghmystery SOLARIS, with Viola Davis, at 10:30pE. And FBI Agents Mulder and Scully (David Duchovny and Gillian Anderson) uncover a sinister organ harvesting operation while investigating a priest who claims to have psychic visions in THE X-FILES: I WANT TO BELIEVE, the feature film based on the beloved TV series, with Amanda Peet and Billy Connolly at 12:15aE.